Users can record their own WAV files for use in the PCMSynth, BeatBox, and Vocoder or import files through iTunes file sharing or the built-in FTP server. 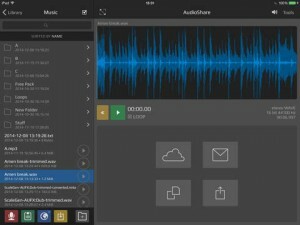 Exported songs can be shared using the AudioShare app. 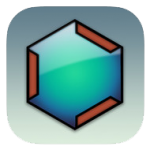 Supports CoreMIDI for note and velocity data. There is also a FREE (full version) PC version available for download on the product website. This free update adds killer new features including a Timeline Editor, MIDI Controller support, and Session Sharing. Plus the brand-new iMPC from Akai Professional works inside Tabletop as the first Tabletop-Ready App. Ready. Set. Remix! The exclusive Soundtrack in this video was created in Tabletop by Richard Devine. You can find the song Glitch Breaker Demo inside the Tabletop in-app community, or on SoundCloud. To celebrate the new update for Tabletop we’re making a call for remixes! Download the Glitchbreaker Session right in Tabletop. You get access to all of the custom samples, sequencing, and arrangement. Remix to your heart’s content. We can’t wait to see what you come up with! • Timeline Editor. Edit, arrange, create notes on a pianoroll style timeline! • Midi Controller Support. 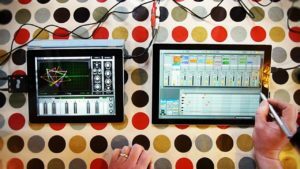 Control Tabletop devices via Core Midi with hardware! • Tabletop Ready Apps. Standalone apps that work in Tabletop! iMPC is the first! • Share Sessions. Post and download sessions for remixing, backup and more. • Improved stability and performance. • Brand new UI look and feel. • Panhander. Autopanning effect device. • iOS 6 enhancements and improvements. • Piano Roll style timeline editor. • Cut, copy, paste, duplicate, and create notes. • Correct note timing with Fix to Grid. • Edit note length and velocity. • Undo any changes and edits with Tabletop’s History Menu. • Features Core MIDI Support. • Works with any MIDI-compatible hardware. • Control Tabletop’s keyboards, drum pads, knobs, faders, and other parameters. 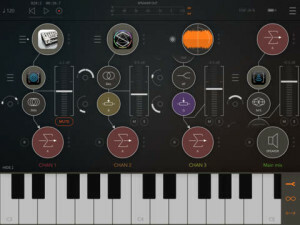 • Customize control mapping with Midi Learn mode. Share complete song projects on the built in SoundCloud Community. When you share on soundcloud, other Tabletop users can download your session! Browse and download from the community to remix and collaborate with other users. NEW: iMPC — First Tabletop-Ready App! An important milestone in the evolution of music apps on iOS, Tabletop Ready Apps are stand-alone apps that work inside Tabletop. When users purchase a Tabletop Ready App, a free version is automatically unlocked inside Tabletop. iMPC from Akai Professional is the first Tabletop Ready App! See http://akaiprompc.com/impc/ for more info. An Expandable Studio with 12 included musical devices! Tabletop is a modular environment where you can mix and match different devices. Select from over 30 devices including samplers, mixers, effects, sequencers and more. Buy only the gear you need from an expanding catalog. Plug the output of a keyboard into a delay to add an echo, or wire it up to a mixer and adjust the pan. 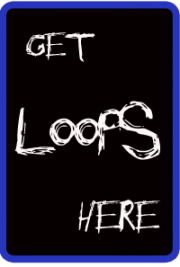 Chain up multiple effects to create new and evolving sounds. 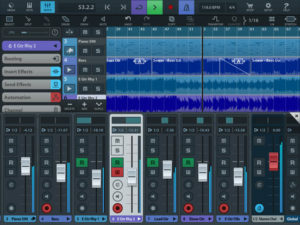 Tabletop is an audio playground where you can create beats, compose songs, mix live, make mashups with samples from your iPod library… the possibilities are wide open.